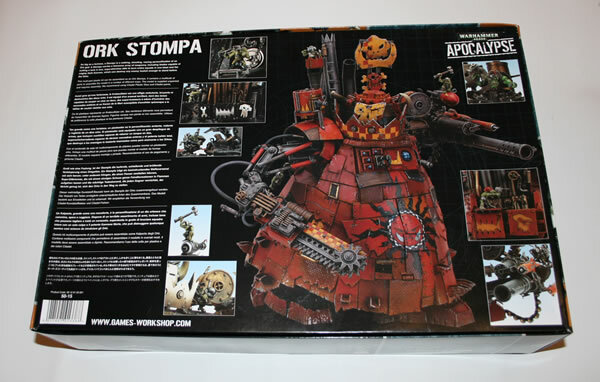 It was rumoured for years, the original Apocalypse release saw pictures of what was at the time referred to as staff scratch-built models, but on the 7th March 2009 saw the release of the plastic Stompa. That was the day I got one, an early birthday present. When a mere dreadnought just isn't stompy enough, a Mek feels the urge to build a stompa. 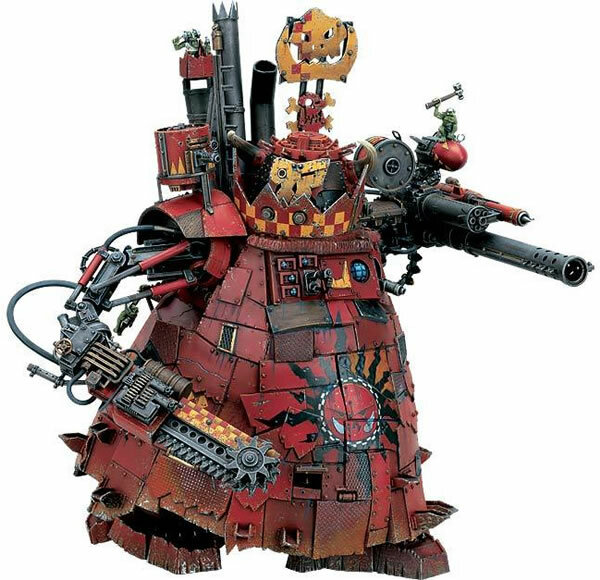 As big as a Battle Fortress, a Stompa is a walking, shooting, roaring idol of Gork. It has a crew of several Orks aided by dozens of Grot riggers, runners and assistants. A Stompa usually mounts two or three enormous guns as well as some form of oversized claw or whirring blade for chewing up enemy tanks and titans in close combat. 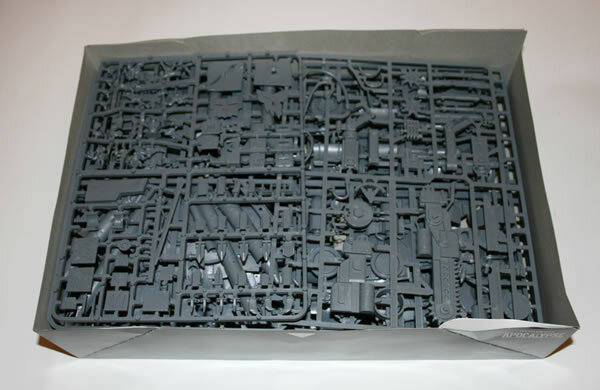 The Games Workshop website has a great step by step guide to making up your model. They also have a nice gallery of Stompa models too, which is great, as I always like to see how others have painted theirs before I model and paint mine. 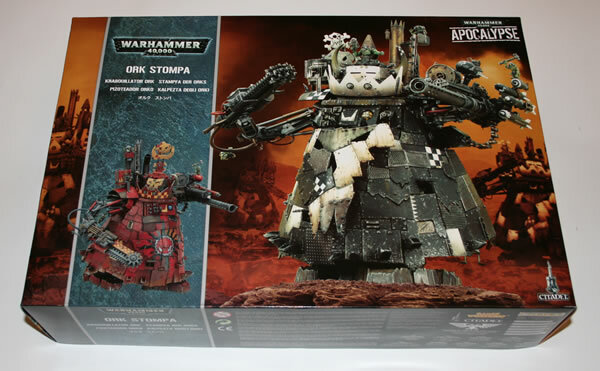 Though the style and paint job of the GW Stompa above is very likely the way I am going to go. You do get one BIG box with all the sprues in there. Lots of nice artwork on the box to inspire you. Then you open the box and see all that plastic and think "oh that's a lot of plastic".